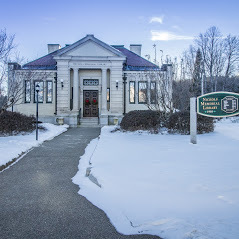 In 1921, playwright and man of letters George Bernard Shaw penned this defense of public libraries for The New Republic (typically of Shaw, it is both serious and arch): “The importance of public libraries can hardly be exaggerated; yet it is seldom apparent to that most influential but most disastrous of public councillors, the practical man of business. He is revolted by the spectacle of a pretentious building, and a huge and costly collection of books, and one solitary reader who is not even fashionably dressed. Let us have the libraries whether they are empty or full. I myself worked in its reading-room daily at the beginning of my literary career; and oh the difference to me! And that difference was a difference to all the readers of my books ” Click on the link for the complete text.